Intrepid Potash operations along the Colorado River outside Moab stand out in the redrock landscaped. The environmental group Living Rivers things Utahns should be asking how potash and an healthy environmental can coexist. A new report aims to spark statewide discussion about potash mining in Utah, and how it can coexist with a healthy environment. 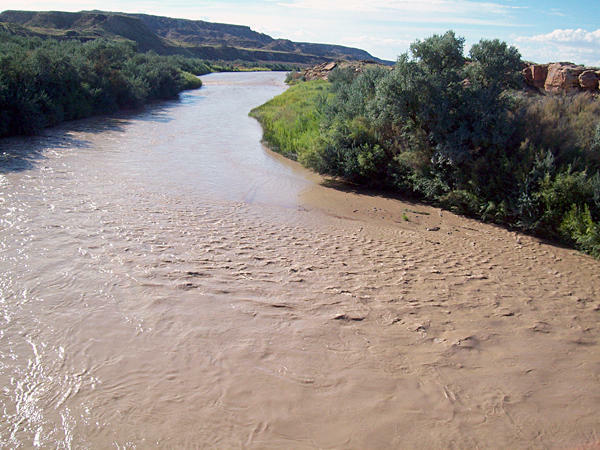 John Weisheit, director of the Moab-based environmental group, Living Rivers, thinks potash should be part of Utah’s conversation about water. He says the U.S. Bureau of Land Management’s master leasing program for the Moab area envisions more potash mining. So does Congressman Rob Bishop’s Public Lands Initiative. Potash is a type of salt that’s a key ingredient in fertilizer, and lots of water is needed to produce it. 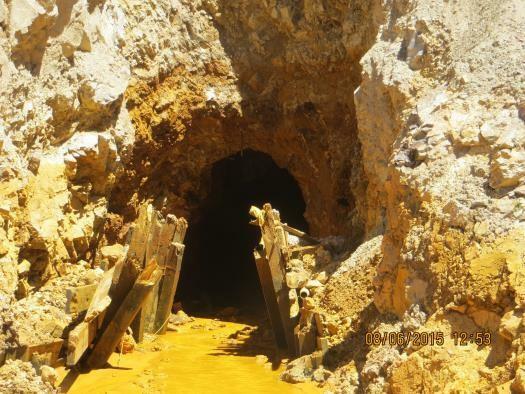 Weisheit says one example of the water-potash disconnect is a new mine proposal that would require three times more water than the city of Moab uses. Meanwhile, some forecasts suggest that the Colorado River could decline 30 percent in a few decades just as people and farms need more water. Living Rivers says the environment can be protected with careful zoning and best management practices. Weisheit’s group also advises strong reclamation and financial assurances so abandoned potash mines don’t mar the landscape. Those decisions include developing new water resources, like the Bear River Project in northern Utah. Last week state lawmakers removed wording in legislation that would have required all big water projects to undergo an economic and environmental review. Americans celebrate Labor Day with picnics and barbecues. But Park City has its own, quirky way of marking the national holiday. About 100 employees at Kennecott Utah Copper have been laid off as a result of last month’s slide at the Bingham Canyon Mine. Kennecott spokesperson Kyle Bennett says the layoffs affected employees across the ranks of the mine’s salaried workforce. None were union employees, though he says some hourly workers will have to be let go before the end of the month.